First, thanks so much to Nancy for letting me be her guest today. Second, thanks to all the members of Write by the Rails who participated in the Endless Possibilities Blog Tour, it has been a great adventure! The Prairie Star – An 1850’s Anthology Women’s History Month has me thinking about women, yes, but mainly women writers. Those of you who know me or are familiar with my writing, know I like to illuminate the stories of everyday people from the past, that so often have parallels with our own. When settlers went west they didn’t leave everything behind. They brought many cultural traditions to their new communities as a way to socialize with new neighbors and bring some feeling of civilization to newly formed towns. Today I would like to introduce you to the ladies of the Kansas Philomathic Literary Society. This group, formed in Topeka, Kansas, held its first meeting during the winter of 1855-1856 in Union Hall. The first Saturday of the month was set aside for lectures, with the other Saturdays for discussion and literary readings. 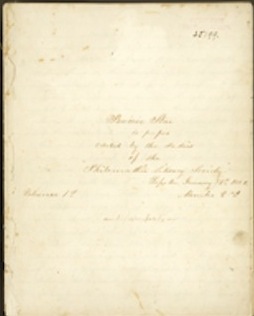 In 1857, the Society began producing a handwritten “journal” called the Prairie Star, which featured the poetry and prose of its members. All punctuation and spelling has been left as in the original documents. The “mission statement” of the group is poetical as presented in the prospectus: We have christened our paper the Prairie Star, Seeking a name synonymous with our far Western and beautiful land, and from these broad and fair Prairies we will endeavor to send forth Such Sentiments as will serve a beacon light to those around us, pointing them to all that is Noble, fair, and truthful. So now, near the close of Women’s History Month, let us raise our pens to the ladies of the Kansas Philomathic Literary Society. Guest Blog Post: Stacia D. Kelly, Ph.D. I first met Stacia when she was promoting her non-fiction work, “Nine Months In- Nine Months Out.” You can click HERE to read the long list of her credentials. Or, you can read on and allow her to inspire you…. As much fun as that can be, I realized a number of years ago that I tend to daydream my stories into being. At least the first scene or two. I can spend hours perfecting and tweaking a single opening scene in my head before ever putting it on the page. And, every so often, I layer in pieces from snippets of conversations going on around me, a hint, a suggestion, the way someone moves or says something. The Goddess Chronicles came about from a daydream idea that randomly popped up during an RWA conference. 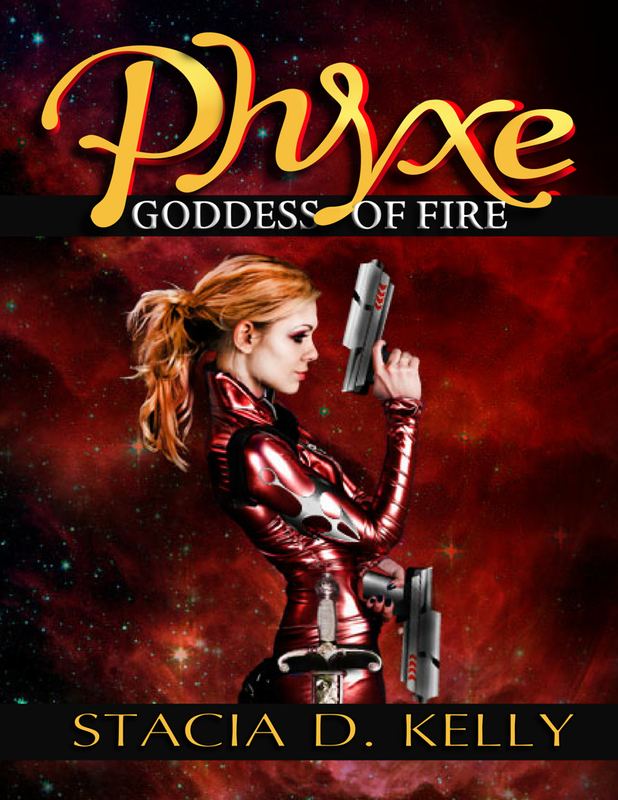 I’d started out with Glacial, the Goddess of Water, in a swirl of snow and ice, but somehow Phyxe, Goddess of Fire took over and demanded to be first. Imagine that, Phyxe being demanding. She’s not really known for her patience. Ichi, with Ryan and Shia, evolved from someone mentioning they’d love to read a story about a female samurai (which also sent me off reading about samurai and ninjas). And, now that I think about it, both series came from the same person! Thus, the samurai sisters were born and have taken over our writing household. And now, I have a new contemporary that started when scenes began appearing in my dreams one night. Wolf Maze, the new contemporary, is one of those brilliant dream sequences from the depths of my subconscious that has blossomed into a story. It’s both a blessing and a curse. What was truly awe inspiring? I dreamed it in sequence. I’ve never had that happen before. And now, Jax and Vincent are chomping at the bit (pun intended) for me to get started, but I have Goddesses demanding I finish their storyline first. For other stories, I’ve had a glimmer of an idea here or there that came from the dream realm, but never a full story. Glacial has stolen a few of those dreams for her story. Phyxe had one show up in hers as well. I should start a contest to see who can figure out which scenes are the dream ones! When other authors tell me, they only had the one story in them, I’m constantly amazed. I have so many voices vying for attention that sometimes it can be challenging to sit down and focus on just the few in the series I need to be working on. My imagination keeps it moving along. If you’re an author or artist (any type of creative), where’s the most creative places one of your ideas or stories came from? Stacia D. Kelly, Ph.D., is the author of the fiction works, “Phyxe: Goddess of Fire”, “Ichi”, and the upcoming “Gaian.” Her non-fiction work includes “Reduce You”, “Muse”, and “Nine Months In, Nine Months Out.” Read more atwww.staciakelly.com. Meet Nick Kelly; a fascinating and talented writer. I’ve gotten to know Stacia, his brilliant wife, and because this power couple intrigues me, I’ve asked Nick a few questions. He’s was kind enough to answer them! I was really into drawing long before I was in to writing. I remember drawing comic book super heroes and G.I. Joes as far back as I can remember. I enjoyed reading everything. I tore through Choose Your Own Adventure books, or anything Dungeons and Dragons, David Eddings, Lloyd Alexander, Tracy Hickman, you name it. As a matter of fact, the hero in my sci-fi series originally appeared in a comic book, not a novel. It took over a decade before he actually made his first novel appearance. I’ve been told that my style is incredibly visual, which makes perfect sense (and is exactly what I shoot for). I like to write so that the reader feels like they’re reading a movie. With high-impact and action-packed sci-fi, visuals are an essential piece of the puzzle. One of my favorite interviews was on the special features of the Blade Runner DVD. Apparently, the initial script was very compact and took place in a single room. (Director) Ridley Scott came in with a stack of Heavy Metal magazines and said, “this is how we’re going to do it.” Can you imagine Blade Runner without the incredible visuals of the Tyrel Building or the giant freaky Japanese woman? How did you find your characters? My sci-fi (anti-)hero is Leon “Catwalk” Caliber. The first version of Cat came from playing the role playing game, Cyberpunk 2020. He’s evolved a bunch since then, and so has the universe and the supporting cast. Heck, I didn’t even release the novels in the order I wrote them. 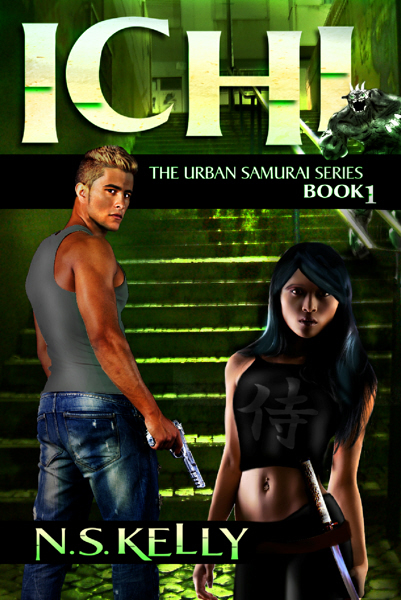 My cop in the urban fantasy novel, “Ichi”, the first of the Urban Samurai series, was built as a counterpart to Stacia’s samurai heroine, Shia. She’s a 1000 year old samurai who hunts all things demonic and supernatural. Naturally, my guy, Detective Ryan Calder, is a total skeptic. He simply loves his unmarked car and his classic rock and doesn’t believe in any of that mumbo-jumbo until he starts seeing it first hand. I love, love, love my writing friends and partners. 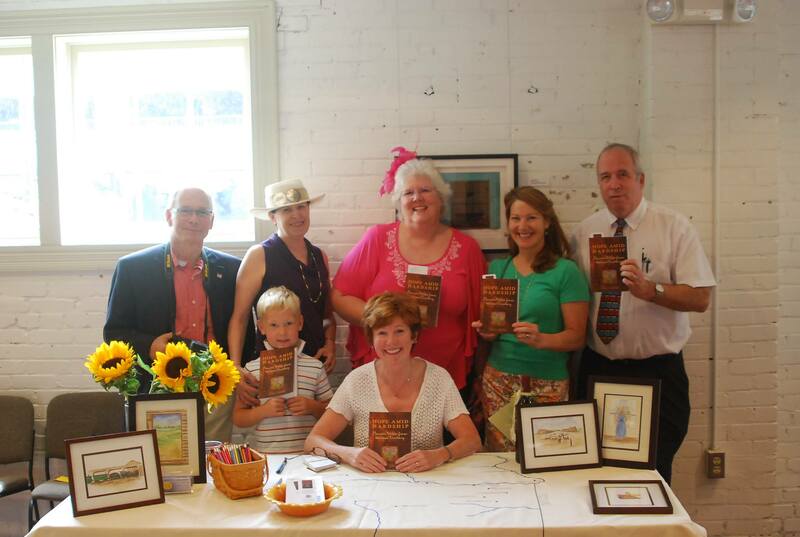 I’ve learned so much from working with fellow authors like Stacia Kelly, J.T. Bock, Tee Morris, Pip Ballantine, and others. I highly recommend that writers find accountability partners and writing groups (either local or online). I absolutely tore apart my first few works following feedback from other writers and my beta readers, too. Did either your style or your characters, or your frequency of writing, change upon finding your partner in life, the lovely Stacia? Writing with Stacia requires a completely different tone than writing alone. Having reviewed horror films for years has made me numb to gore, I guess. When you watch that much blood, you tend not to mind it when you write it, and my readers like to clamor for lots of blood. Combined, Stacia and I have at least four books coming out in 2014. I have a short story, “Catwalk: Jericho”, which connects the first two books in that series. Stacia’s 2nd book in the Goddess Chronicles, “Gaian”, will be out, and then “Catwalk: Lineage” and “Ni”, the 2nd Urban Samurai book will be out later in the year. I have a zombie thing I’m working on, also, but those are the only ones we’ve committed for this year. Thanks for letting me ramble. Time to grab my red pen and get to some edits! 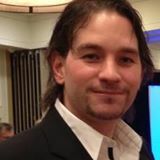 Nick Kelly is a musician, professional speaker, and an author. 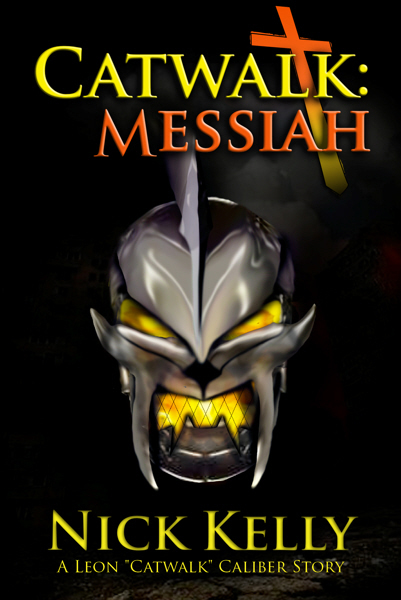 His works include the cyberpunk/sci-fi novel, “Catwalk: Messiah” (Book One in the Leon “Catwalk” Caliber series), and “Ichi” (Book One of the Urban Samurai series). Both are available on Amazon. Wow. I haven’t thought about camp in a really long time. I went for three summers when I was ten until I was twelve. 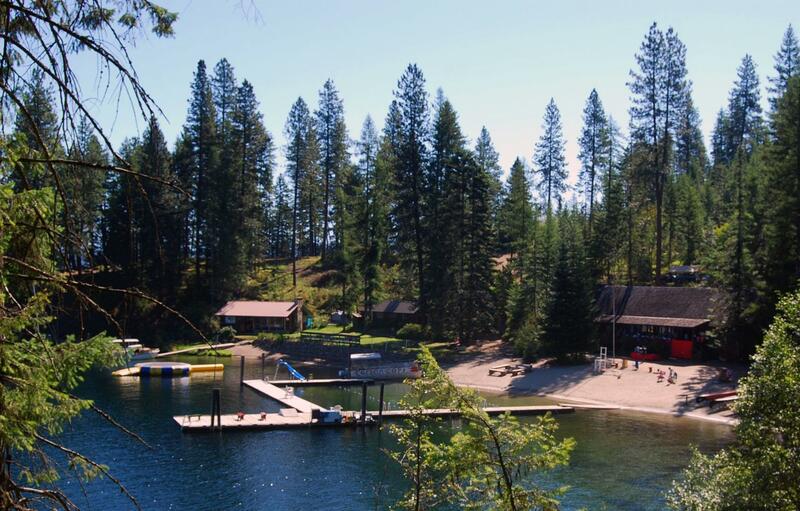 It was a week-long, sleep-away Campfire Girls camp on Coeur d’Alene Lake in the panhandle of Idaho called Camp Sweyolakan. Camp Fire was founded in 1910 as the first non-sectarian, interracial organization for girls and was built on the American traditions of pioneering and Indian lore. It became co-ed in 1975. I don’t remember any boys there when I was in the organization in the 80s, but boys weren’t really on my radar then, so who knows. I was an incredibly shy kid who had trouble making friends and I’m not sure why I was so desperate to go all those summers that I sold a metric ton of Almond Roca (the Campfire Girls equivalent to Girl Scout cookies–and in my humble opinion, a million times better) to pay my way. But, for some reason I did and I loved it. I don’t remember any friends I made–but I remember making them– or any of my counselors, but I do remember archery, hiking and canoeing, and learning to swim. I remember the day that a small group of us got in our canoes and rowed across the lake, the teenage girls who were our counselors taking off their shirts and brazenly sitting in the front of the canoe in their bras. I was so awed by that bravado then. We camped that night, under the stars, with the fires we had started cooking our meals and told stories, trying to scare each other. I remember the excitement of the ferry ride that took us out to the camp and I remember it being sad on the return trip when camp was over. I remember the mess hall where we’d sing songs of thanks and if we put our elbows on the table, we’d have to scoop up the fairies we’d squished and throw them over our shoulder. The forest around us was full of fairies and magical creatures too and there were rules and regulations for them all. 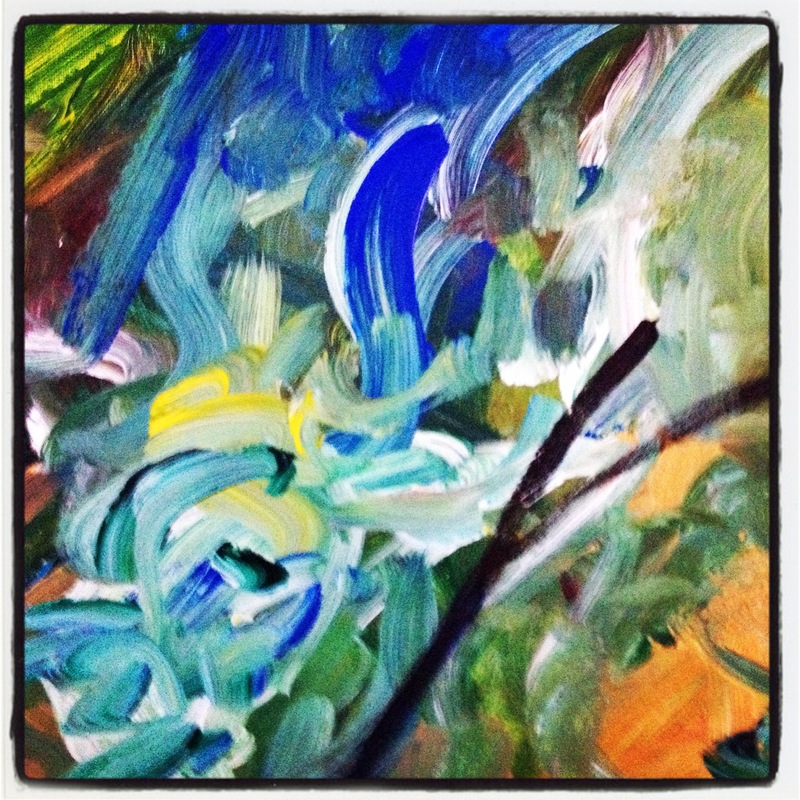 I remember legend, myth and fantasy; the romance and danger of nature and fire. 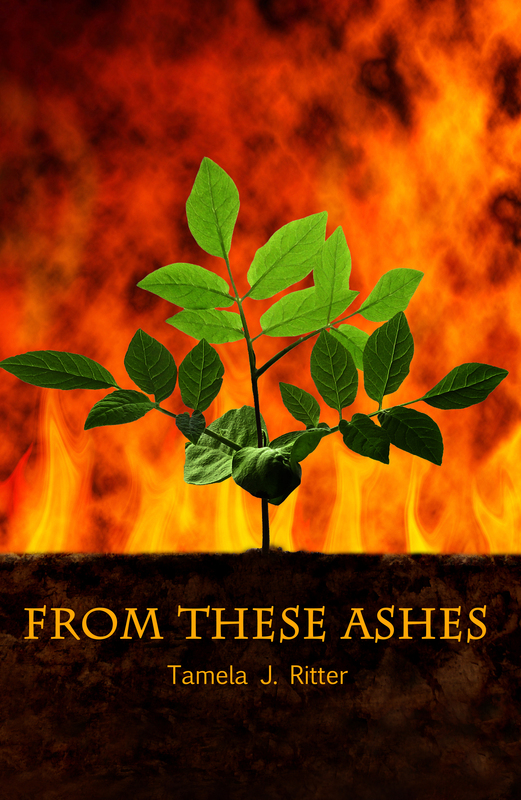 Thinking back on my life, my writing and my novel “From These Ashes” I realize the lessons I learned there have stayed and followed me throughout my life. The appreciation and awe of the outdoors and the great fear and desire that only fire and all it entails can instill in me. I am forever awed by the sense of beauty in the dancing flames, in the crackle of embers blazing and in the smell of pine burning. The sense of danger in the scorching heat and precarious sparks dancing in the wind and finally, the sense of healing and rebirth, the ability to burn away all that has wounded and scarred you and allow you to grow again, stronger and healthier. It all started there. Funny how I had forgotten that until I was asked to come here and write about camp, thanks Nancy. May Wokanda’s blessing fall upon us as we go. 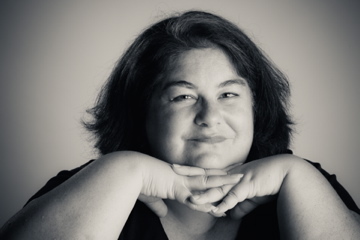 Tamela J. Ritter was born and raised in the Pacific Northwest, her debut novel From These Ashes was published in March 2013 by Battered Suitcase Press. She now lives and works in Haymarket, Va. You can find her on Twitter or on Facebook.